Volkswagen Beetle PDF Workshop, Service and Repair manuals, Wiring Diagrams, Parts Catalogue, Fault codes free download!! Volkswagen New Beetle – compact car of the German company Volkswagen. 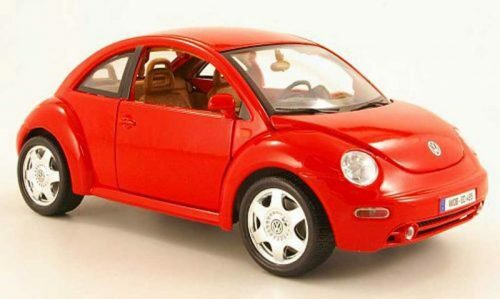 New Beetle was released from 1998 to 2010. The exterior is a reference to the Volkswagen Beetle, however, unlike the classic Beetle, the New Beetle engine is located in the front and the trunk behind. Also is front-wheel drive. New Beetle is a single-platform model with VW Golf mk IV, VW Bora, Skoda Octavia A4 and Audi A3. Initially, the car was destined for the domestic North American market (the beginning of the release was spring of 1998, marking 1c), but then the modification for the other countries (9c), as a rule, for Europe also appeared. The range of engines for the updated Beetle was not too wide: petrol 2.0 115 liters. from. 8V (AEG for America and AQY for Europe) and 1.9 TDI. A little later, a modification appeared with a popular turbocharged Volkswagen engine 1.8T (to Europe it was almost not supplied). A few later there were versions with 1.4, 1.6, 1.8, 2.5 liter engines. Differences of the American version from the European version – the presence of side lights on the sides of the rear bumper, a square niche under the license plate, in most cases in the front povortnikah were built and parking lights, the dashboard was numbered in miles (large figures) and kilometers at the same time and often the absence of rear PTF. There were also versions for the Japanese market (including the right-hand drive), differing in the presence of dimensions in the rear bumper, mirrored (in comparison with European models) the arrangement of reversing lamps and fog lights, but the front parking lights were like Europeans built into the headlights of the head lighting. Regardless of the modification, the New Beetle used separate distant and dipped lights (lamps both there and there – H1).